Sweet chain blocks of Salmon, green and tan creating a soft chain look. To companion the blocks a colorful floral with like colors. 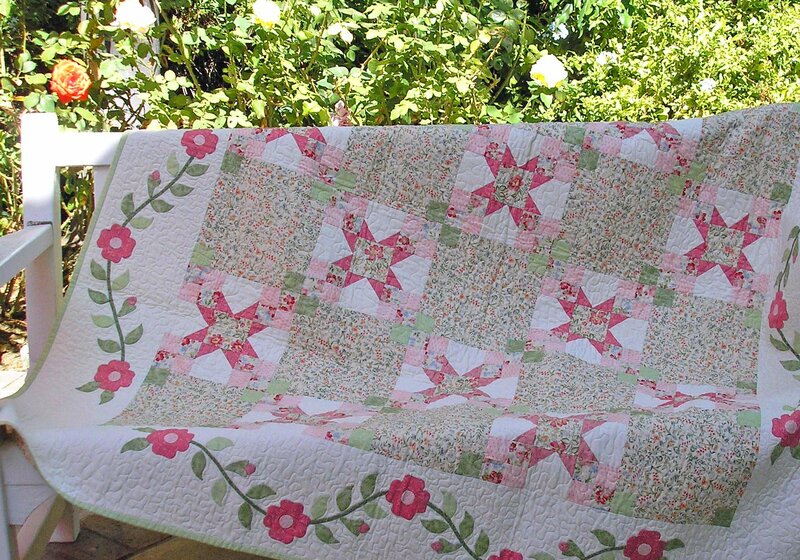 To finish the quilt with charm add an applique border with small flowers and greenery.